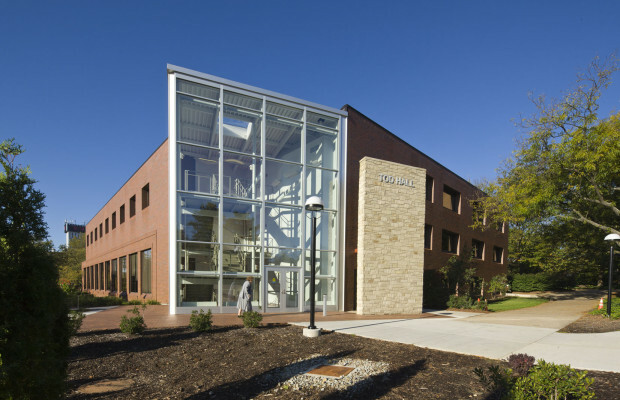 Youngstown State University Tod Hall | BSHM Architects, Inc.
Tod Hall at Youngstown State University is home to the University President, Administrative Offices, and the Board of Trustees Meeting Chamber. 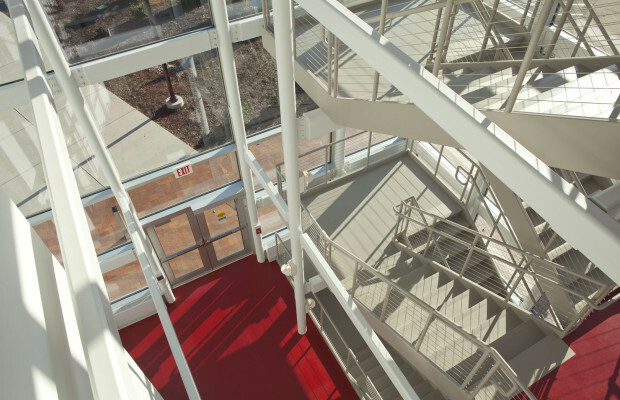 The building, constructed in 1955 and remodeled several times, had a non-descript entrance. 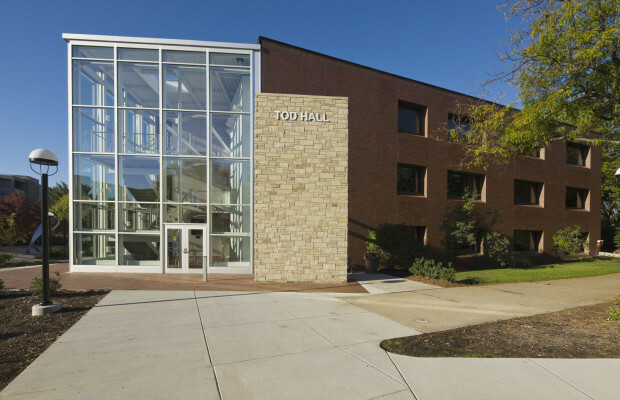 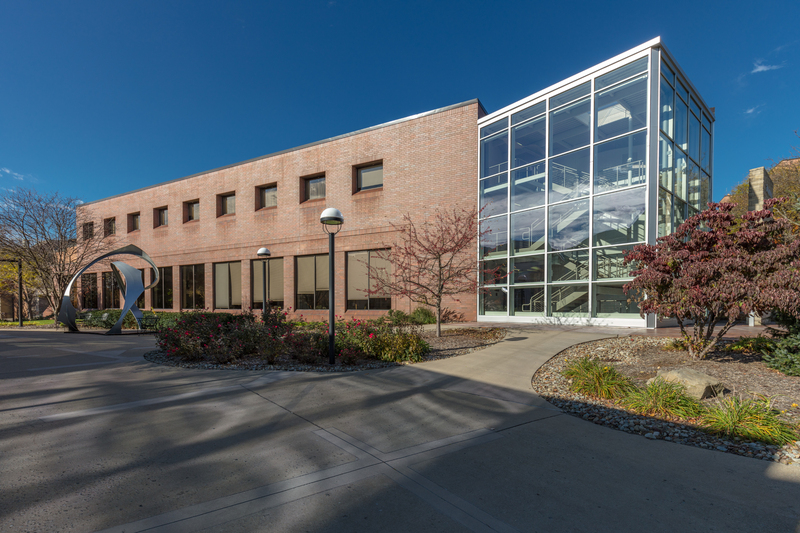 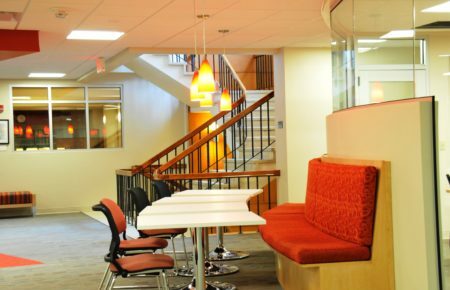 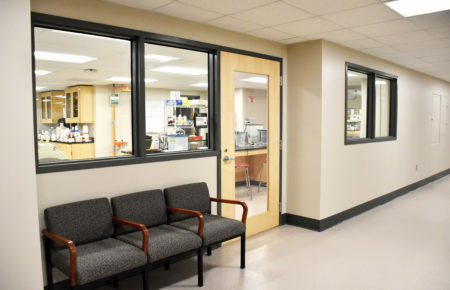 With the University undertaking a major reorganization to the sequence of visitors entering the Campus, Tod Hall, which is located on University Plaza, became the new focal point. 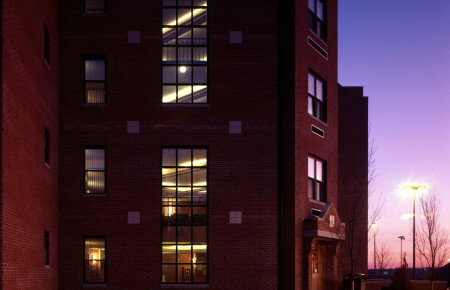 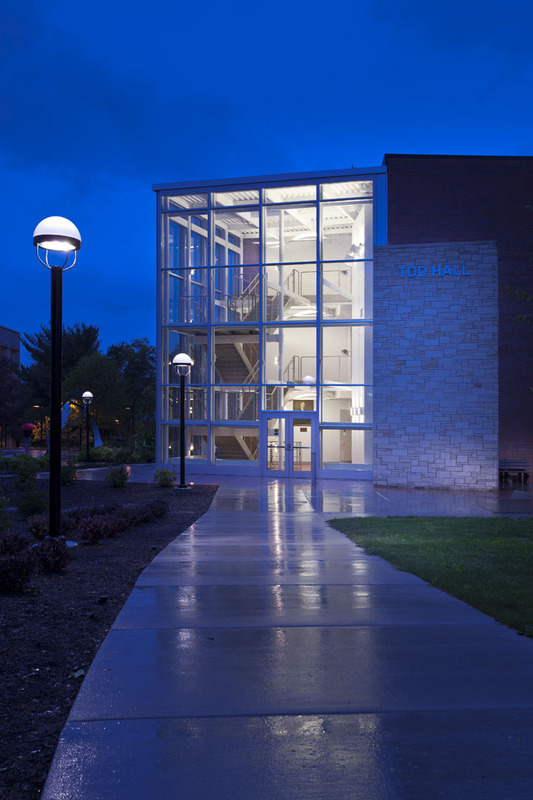 The project provided not only a new entrance to the building, but also identified Tod Hall as the President’s Office and Trustee Meeting Chamber. The concept called for the demolition of the entire northeast corner of the building which contained an enclosed fire stair. 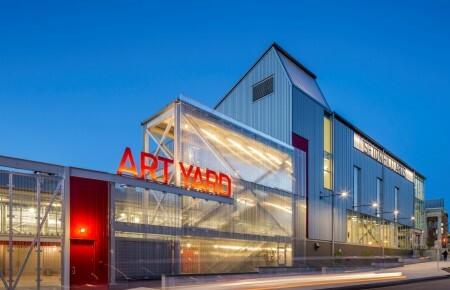 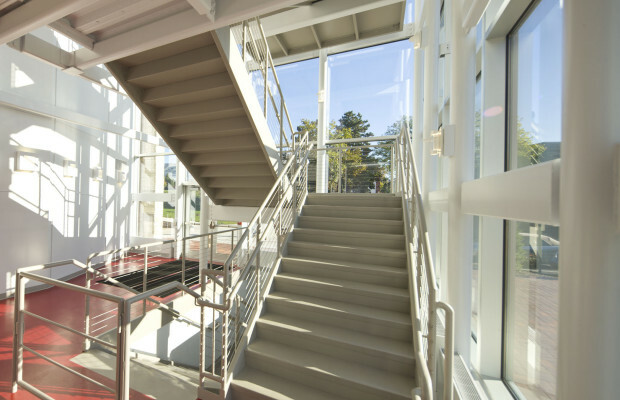 A new parti was developed with a floating stairway enclosed within a three-story glazed atrium. 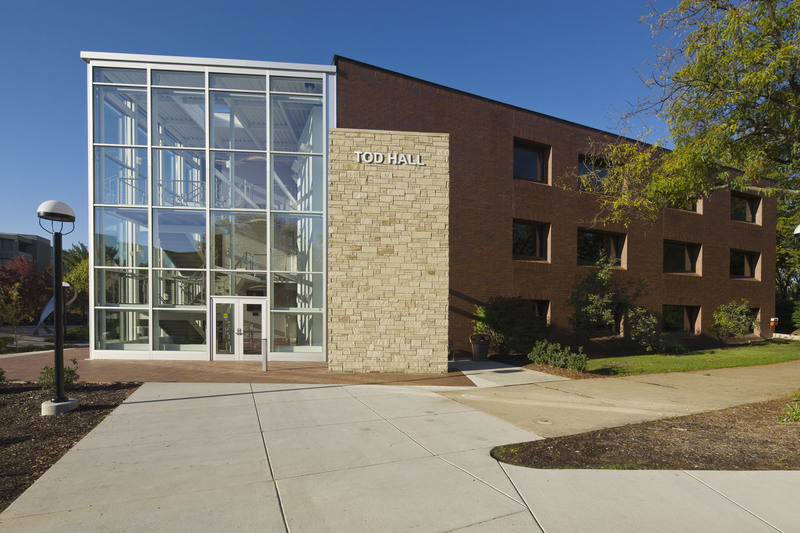 The new entrance, facing north to University Plaza, is further identified by a stone buttress flanking the entry that is in context with similar stone walls on University Plaza. 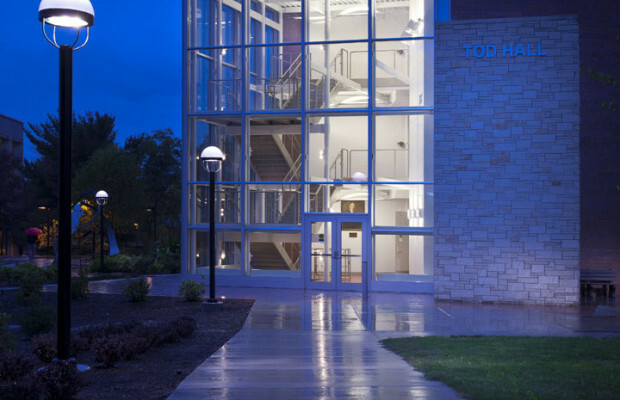 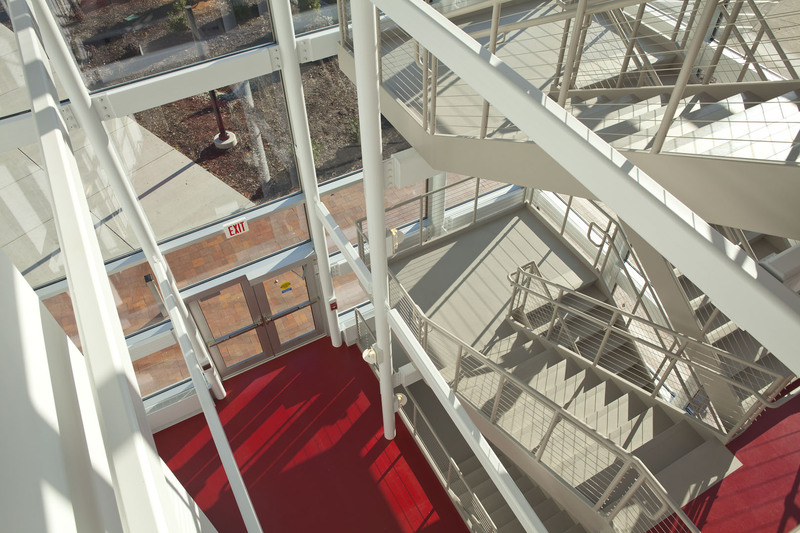 The new Entrance, with an integrated lighting system on the exposed steel structure, has become a beacon welcoming visitors and students alike, to Tod Hall and the Youngstown State University Campus.